To enter, aspiring myth-busting science superstars can submit videos to Science Channel’s website, and the 15 most mind-blowing contestants will compete on the show to “solve challenges that include classic myths from the show as well as new myths.” Once the winners are selected, Science Channel says it will determine what kind of format the new show will take, basically whether it will be structured like the old one or not. 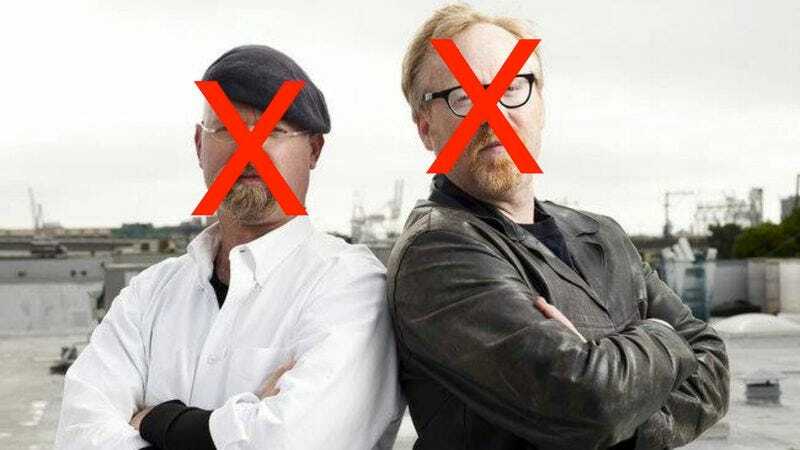 THR’s article suggests that people who used to be involve with the old show might make appearances, but it doesn’t say whether or not original hosts Adam Savage and Jamie Hyneman are involved. In other Science Channel reboot news, the network is also bringing back Punkin Chunkin, a show about seeing who can build a machine that will toss a pumpkin the farthest.